A great soccer coach deserves the best gift. So we’ve rounded up the 10 best soccer coach gifts and present them to you here. Whether you are a parent looking for an end-of-season thank-you gift, or a school administrator tasked with honoring the retirement of a celebrated soccer coach, you’ll find something to inspire your gift-giving in this list. For your consideration, the ten best soccer coach gift ideas. Coaches are always busy, running up and down the line, running drills, meeting with players and parents, organizing the roster and playing times. The last thing they want is for their coffee to get cold! That’s why this personalized soccer coach tumbler is the perfect gift. 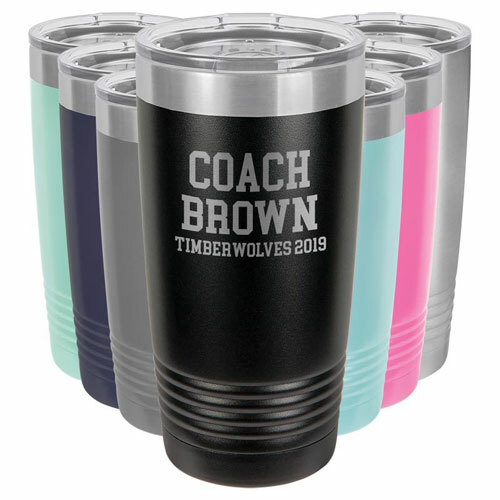 The premium insulated tumbler is available in a variety of sizes and colors, each with custom laser engraving for the ultimate coach gift. Get just one or order them for the entire coaching staff – bulk rates start at just four items. This is something they will not only love, but use all the time! This personalized championship ring display box is the perfect gift for a soccer coach who is a true champion. 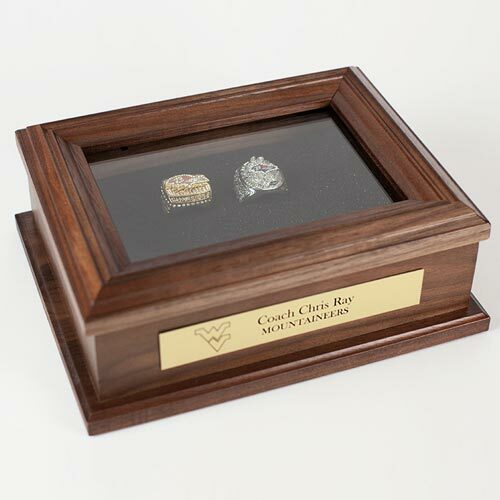 The walnut wood keepsake box is made in the USA from solid wood, and can hold up to 20 sports rings. We can engrave the name plate with any text or logo, and you also get the option to etch on the glass (oh, and that’s a real glass lid, too). This is a beautiful retirement gift for a successful coach, and a wonderful way to celebrate those championship seasons. 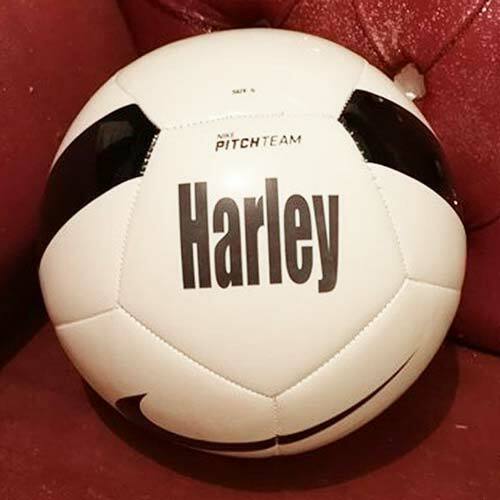 This Nike-brand soccer ball includes personalization and comes with a stand, so you can customize a brilliant gift for your soccer coach. There are plenty of colors, brands, and personalization styles to choose from if you want to go with a custom ball. Check them all out here. 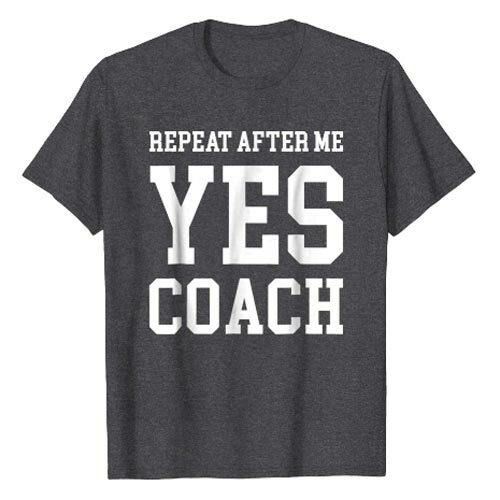 This sporty tee is the perfect gift for an enthusiastic soccer coach. The center black square on the soccer ball is replaced with a heart, in a fun hand-drawn style. The resulting message is “I ♥ Soccer”. 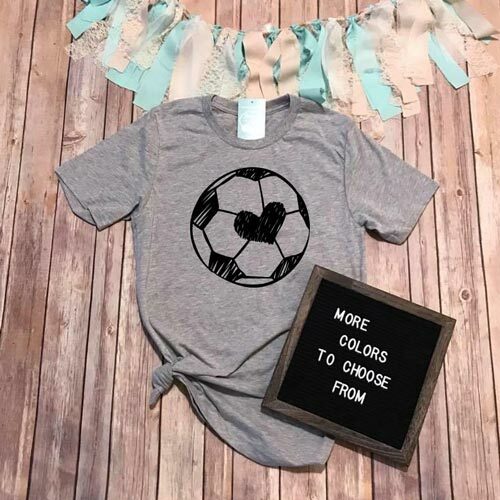 If the coach in your life is the type that loves to look cute while sharing the love of the game with her team, this fun soccer t-shirt is the way to go. 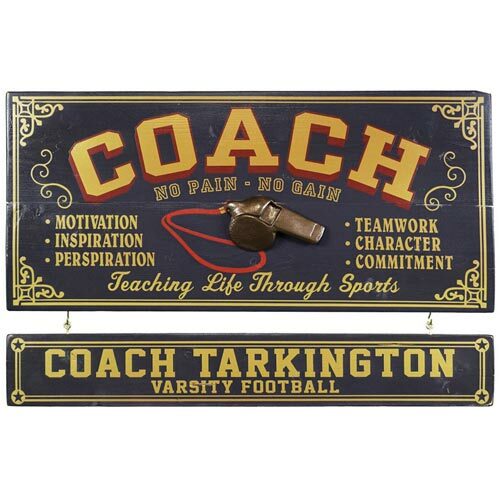 This vintage-style wooden plaque is a great gift idea for the soccer coach upon getting a new job, new office, or retirement. Or any reason, really – it works great for birthdays and Christmas as well. The coach sign is custom made to order in the USA from real wood. You can get a hanging personalized name board with up to two lines of text, and even add multiple boards for the whole coaching staff or to commemorate different teams, roles, or championships. Who wouldn’t be blown away with a personalized bobble head doll! Give a soccer coach in your life a truly memorable gift. These bobble head dolls are handcrafted from clay. No resin or moulds (the artist even notes that sometimes you can make out fingerprints on the dolls), these are truly crafted by hand. Send in some photos and explain what style and look you’re going for, and they will work with you until you are perfectly satisfied with the result. And the result is fantastic! You can browse through tons of reviews with photos to see how well the bobble heads represent the recipient. 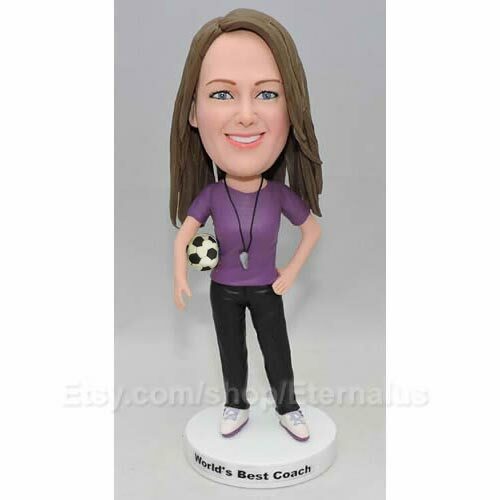 So if you are looking for truly unique soccer coach gifts, consider a personalized bobble head doll. They’ll love it! 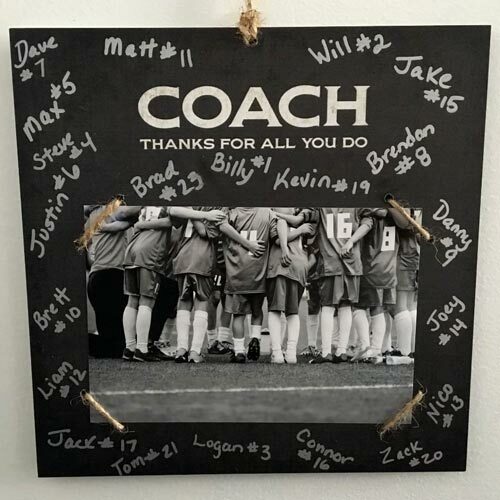 The framed team photo is a classic soccer coach gift. This coach photo frame presents a new twist, with plenty of space around the picture frame for each team member to sign and personalize it. The frame itself measures 8×8 and will hold a 4×6 photo. This makes it easy to put together and hits that balance between being a nice sized gift without taking up too much space in the coach’s office. A great way to say thank-you to a dedicated coach, from the whole team! Here we have a gift to help the coach to unwind and relax after a long day of grueling practice. 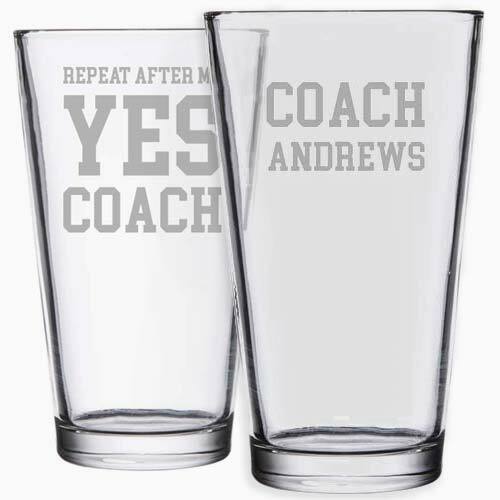 These pint glasses come in sets of four and include custom laser etching of any text, clipart, or logo. 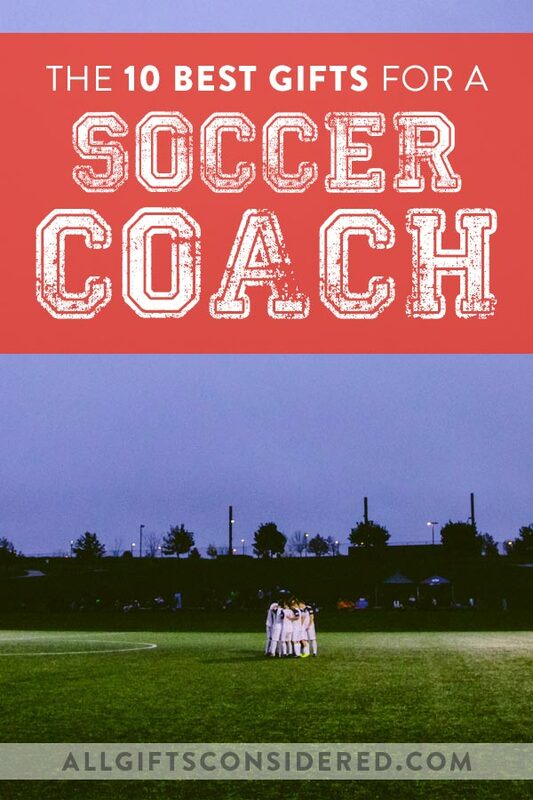 Showcase team pride, school spirit, or the indelible wit and wisdom of your soccer coach. Pain is temporary. Greatness is forever. Here is a great gift for the soccer coach who is also a die-hard fan. 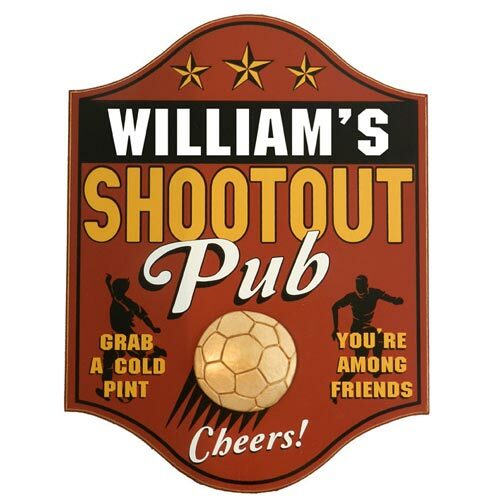 The Personalized Shootout Pub Sign is made in the USA to order and includes customization of name across the top and a 3-dimensional relief carving of a gold-painted soccer ball. Grab a cold pint, you’re among friends. Cheers! Some players just need to hear this over and over and over again. By the end of the season, though, every single one will know: When coach says something, you yell, “Yes, COACH!” and then do it. Need more inspiration? Check out our popular article on 21 Creative Gift Ideas for a Sports Coach. There are several reasons why you might be giving a gift to a soccer coach. Parents will often give their child’s coach a thank-you gift. Administrators may give something nice to the school’s sports coaches to show appreciation for their school spirit. And of course coaches are people too (though some players might dispute that after their 37th lap). They have birthdays, celebrate Christmas, get new offices, retire, receive awards, and so on. So there are plenty of opportunities to give a soccer coach a gift. I hope this list of soccer coach gifts has inspired you. 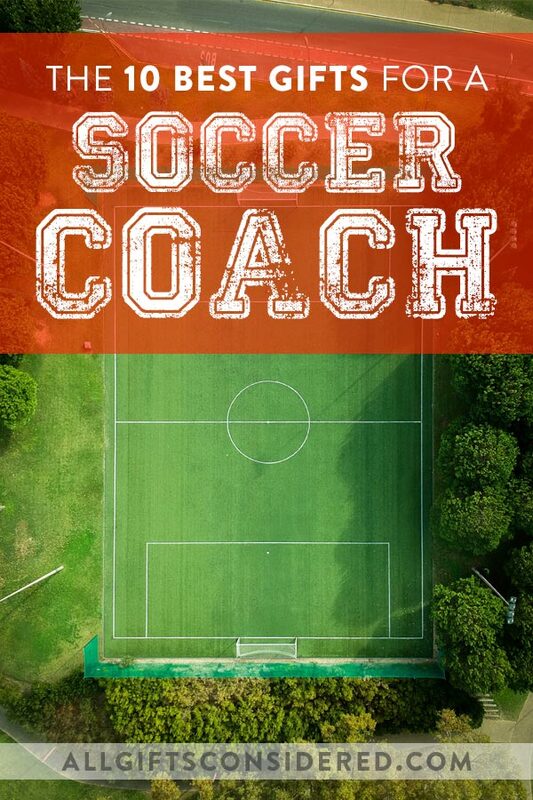 Continue exploring gift ideas for soccer coaches with these 21 Creative Gift Ideas for a Sports Coach. © 2019 All Gifts Considered. All rights reserved.